It’s a bit cooler in my neck of the woods, so I turned to a favorite recipe of mine to chase away the dampness. 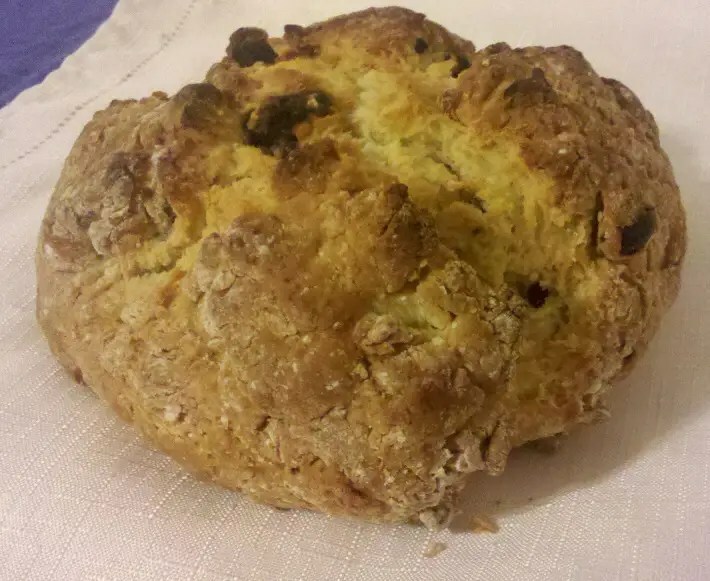 My mom’s recipe for Irish Soda Bread. It’s easy, tasty, and keeps well for a few days (well, if you don’t eat it all first). I like it with stew or on its own for breakfast. 1 c. currants (can leave these out and you’ll have Scottish Soda Bread. 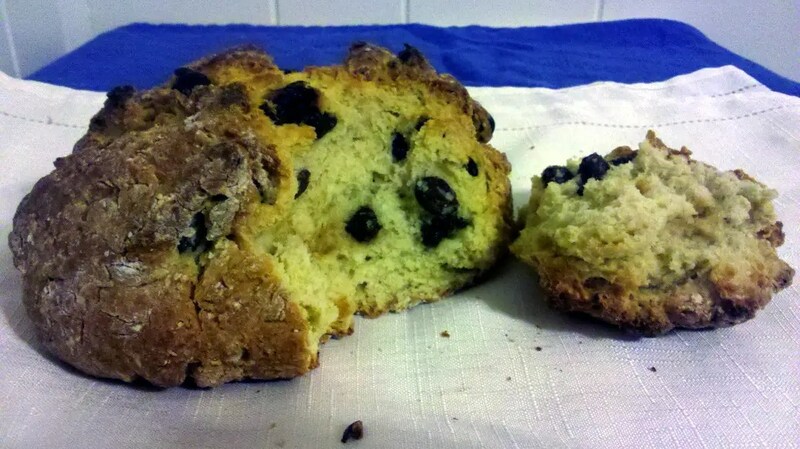 If you don’t have currants you can substitute raisins). Preheat oven to 375-degrees. Sprinkle a little flour over a large baking sheet, or line baking sheet with parchment paper. Put all the dry ingredients ito a mixing bowl and work in the margarine with your fingertips until mixture is crumbly. Make a well in the center and pour in the buttermilk; add the egg and beat well. Add the currants and mix until all the flour is wet, then knead just to complete the mixing. Cut dough in half and shape each half into a ball. Put dough balls on floured baking sheet, slash a cross into the tops of each dough. Bake 40 min., or until a golden brown. Cool on rack. I used raisins in this loaf. It’s very tasty when warm and topped with butter.